Did you know that every day you run your heater or air conditioner with a dirty and clogged filter costs you money? A dirty and clogged heat and air filter is not efficient and the dirty filters prevent the proper circulation of the air. 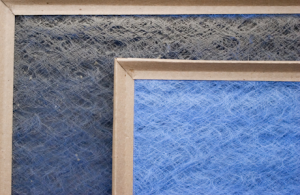 Dirty filters also cause your heating and air units to work harder than normal. This adds up to more wear and tear than is necessary. Lastly, since the dirty filters make your units work harder and less efficient your gas or electric bills will be more expensive. It makes a lot of sense and saves you money to have the heat and air filters changed now. Before you start to change the filters you will need to know a couple of things. First, you will need to know where the filter is located and how to remove it safely. Be aware that some of you may have a filter for the heating unit and a second filter for the air conditioning unit while others will have just one filter for both heating and air. Next, you will need to know the correct size of filter for your units. You will need to know the length, width and thickness of the correctly sized filter for your unit. Be sure to check for any unique specifications on the old filter as well as the owner’s manual if you can locate it. Getting the correctly sized filter is very important for your heating and air systems to function at their top efficiency. Are Heat and Air Filter Changes a DIY Job? If the filters are easy to get to, easy to remove and new heat and air filters are readily available, you should be able to do this job. If there is any doubt about how to do this job then you should call on a professional heating and air service contractor. Many of our customers have opted in for a maintenance contract in which we will take care of all your heating and air filter changes and other service calls as well. Circle B Mechanical is professional and services all brands of heat and air systems. If you want to take the day off and have Circle B Mechanical take care of your heat and air filter changes give us a call at (918) 367-6298. Be sure to ask about our maintenance agreements so that you never have to worry about your heating and air systems again. Circle B Mechanical serves all of Tulsa, Jenks, Sapulpa, Broken Arrow, Kellyville and Owasso. Call Circle B Mchanical for all of your residential and commercial heating and air needs. This entry was posted in Air Quality and tagged Air conditioning, energy efficiency, filter changes, heating repair, preventative maintenance agreements, Preventive Maintenance. Bookmark the permalink.